A few months back I was having a word with one of my student who was once in my Sunday School. Last time I saw her, she was a teeny-weeny child and a few years later which was a few months back when I met her, she was a grown-up girl in her teens and yet she still had that glimpse of innocence in her. As we were talking I was looking for that once cheerful, bold little girl who was my Sunday School student. But here I saw a girl, who was speaking with a lot of pain in her voice and eyes. It seemed like there was something bothering her. I continued talking to her and asked her how her studies were going on. She thought for a while and replied, I am getting weak in studies, I am not as good as before. I asked her what was the matter- she started pouring her heart to me. She said, no matter how much I study and put in efforts I never get good marks. My parents have sent me to tuitions, there my teacher always scolds me saying I am fit for nothing and if I don’t study well, my parents will have to start begging in the streets. It seems her tuition teacher spoke so much of harsh words to her which affected her little mind. She began to feel useless and stressed out. Her next line jolted me, she said, she felt like committing suicide as she felt that the reason that her parents were not happy because of her as she felt she was just a dumb child. That’s when I realized that this little one in her teens is going through a lot of things in her mind which could be the reason for her to reach the conclusion that suicide is the solution to her problem. 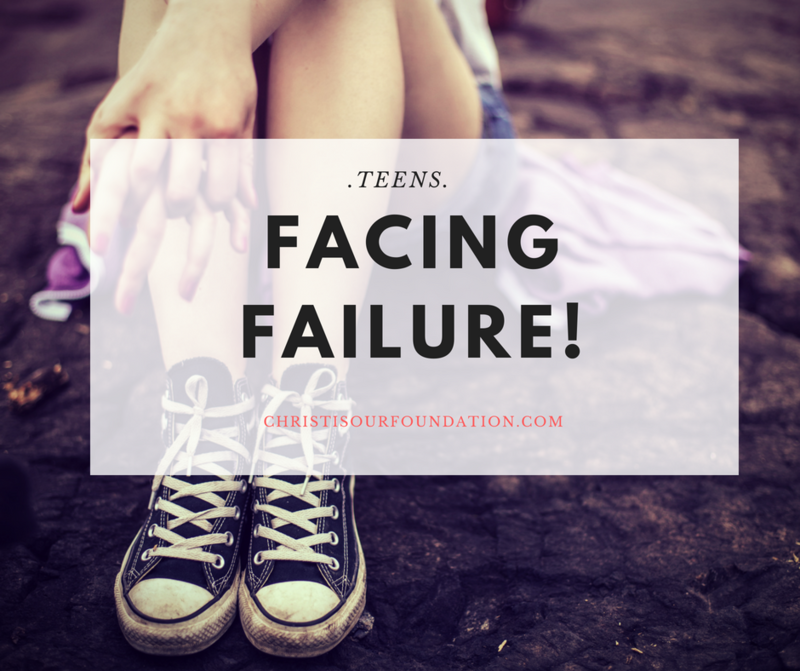 We need to understand that teens undergo a lot of emotional stress during this period and it is very easy to crush their spirit. I talked to her and pacified her, reminded her that no matter what, her parents will love her. Don’t be afraid of failures. She was a brilliant student but her fear became a stumbling block. She lost confidence in everything that she did because of few harsh words, that she kept hearing every day. Today, most of the kids and adults out there are afraid of failures. Always remember that failing is not the end of the world, as some great men have said, failures are steps to success. When I was doing my graduation, we had a wonderful professor. She would give us assignments and tell us that though I have the full working program in my hand, I want you to find the logic and type the programme, make mistakes and learn through them. All our other teachers use to give us working programs so we could complete our assignments. But this professor never gave us that, initially we used to get upset and frustrated but gradually we understood that we were learning many things through our mistakes and it remained in our minds. When we made mistakes, we learned how to debug the issues. Similarly, in life, failures are bound to happen, let’s learn from our failures and move ahead. It is during exam results many students tend to commit suicide. Failing in exam is alright, you will get another chance to write it again, but you won’t get a chance to live again. When we fail, we have just joined the human race because everyone has failed at something at one time or another but the encouragement that the Lord gave to Israel is reassuring that in the end, failure is only temporary, and for the believer, God has given us rest and we have victory in Jesus. We can rest in the fact that God will complete what He started in us (Phil 1:6), we can rest in the fact that there’s no separation possible from the love of God (Rom 8:37-39), and we can rest in the fact that “Not one word of all the good promises that the Lord had made” will ever fail to come to pass (John 3:16). Some of the greatest figures in human history had lives littered with failure but if they had stopped there, the invention of the light bulb, the automobile, and the airplane would have come much later. Failure is part of the path that leads to eventual success. The greatest failure of all is to fail and never try again. When that happens, failure is final, but God never intends for us to fall and not get back up again. If that were so, no toddler would ever learn to walk. Failure leads to victory but only for those who persevere through them all.